Luxury hand made vase. This art work is a condensed of different techniques, superbly expressed. 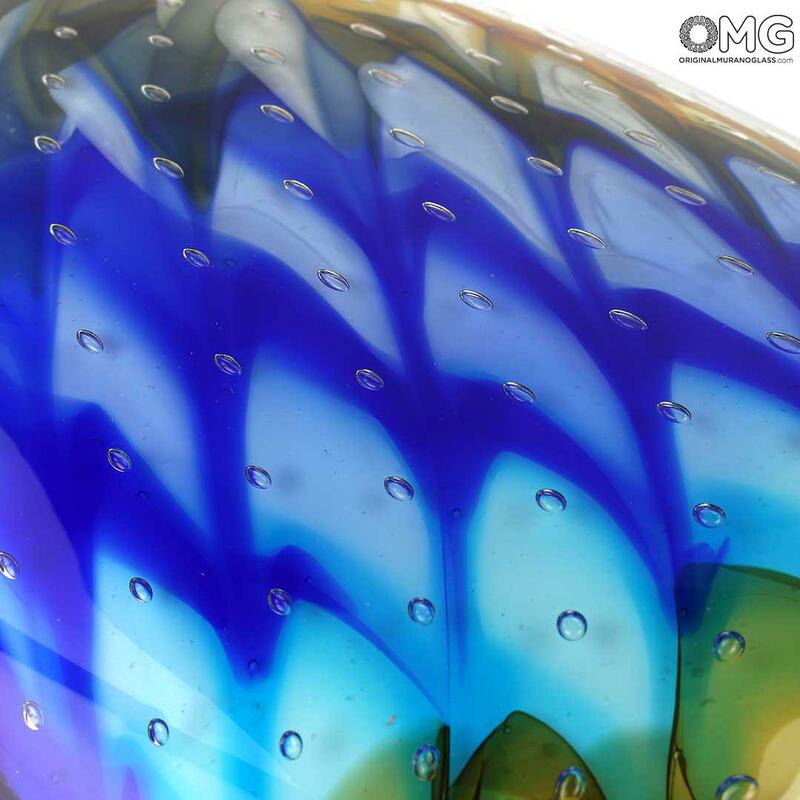 The glass master has firstly to create a particular filigree canes to mold togheter and realize a specific and colorful texture. Then he has to finish the vase using the sommerso technique. All this process is long and complex. The result is a very elegance vase, very rich and perfect to decor every room.